I'm not dead just because Naboo is dying. Forget that. Destroy the planet or leave me alone. I'm not in a bunker. dude there is lava smoke and no water, your kinda dead. Which was bombed, like the whole planet. She could survive, the orbital bombardment of Taris is a example, but then Revan was pretty much the only survivor. Then there's the Nuclear Bombardment of Serroco by the Mandalorians, where they used real nuclear weapons, that left massive amounts of Radiation, and Fallout, and it didn't turn the planet into a Mustafar like planet. Hell, a lot of people survived the Nuclear Bombardment of Serroco, I'm not supporting Tela, nor am I supporting Teryn and Vargo. I'm just saying a Nuclear Bombardment didn't turn the planet into a Mustafar like planet, where it actually left Radiation and Fallout, and people did recover and re - built like 50 years later. And Taris was beginning to re - build pretty quickly too. Taris was a modular planet, most of the surface was covered in cement, 1 mile thick, like couriscant, it was huge, so the surface wasent really damamged as bad, Naboo is rolling hills, and few cities, so yeah. I'm not even sure if Naboo has volcanoes, but if it dose and I activated them all, it would easily turn it in to mustafar II, and she wouldn't be able to survive that, well unless she somehow gets a suit that can survie Lava and super heat. What about Serroco? It's just like Naboo, except remove the hills, it has barely any cities. And it was bombarded with real Nuclear weapons, and left Fallout and Radiation, and it didn't turn into Mustafar like planet, and like I said I'm neutral in this. I didn't use Nuke, I used turbo lasers that are stronger than nukes. Yeah, but the nukes left massive amounts of Radiation, and Taris, some of it wasn't concrete and those places were fine. Telos had nothing on it at all, and it was completely destroyed, and it didn't turn into a volcanic planet. There, 3 planets that were bombarded and not turned volcanic. That depends, how many volcanoes, how many super volcanoes ( There are no super volcanoes on Naboo ). 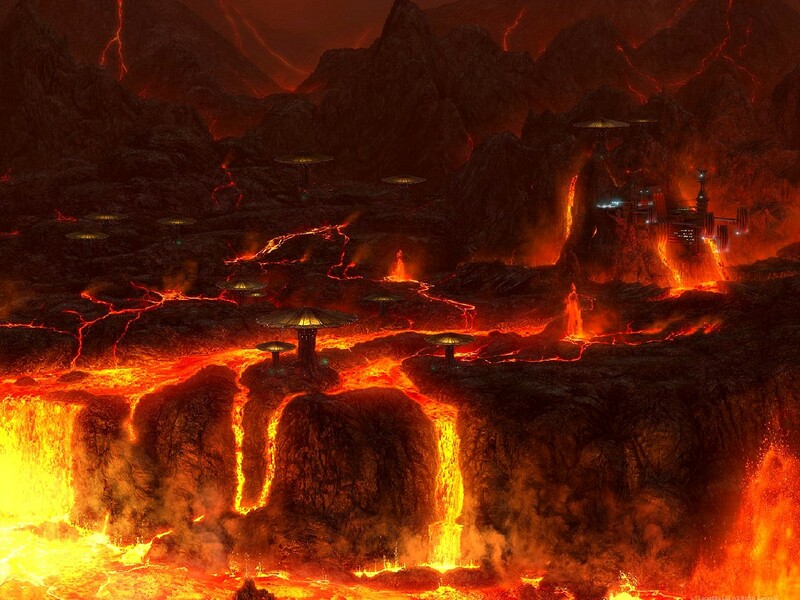 Naboo should have barely any volcanoes, it's a temperate / swamp / water planet, but if you penetrate the crust, magma could seep through, and harden some of the oceans. Your lasers may be more powerful than a Nuclear Warhead, but are no where near as hot. The Nukes on Serroco were as hot as the sun, and they didn't turn it into a volcanic planet. Naboo would be devastated, cities destroyed too the ground, barely any would be left standing. Entire forests destroyed, etc. A single nuke as hot as a Sun would destroy a world on it's own. Actually no, real life nukes are almost as hot as the sun when they explode. A Death Star Super Laser is much more powerful than a scale of 10,000, try at least 100,000. The very least is 100,000.